Moving money from one place to another in Laos used to mean sending it by car, through friends or third parties or other high risk and time-consuming means of transport. Not any more! 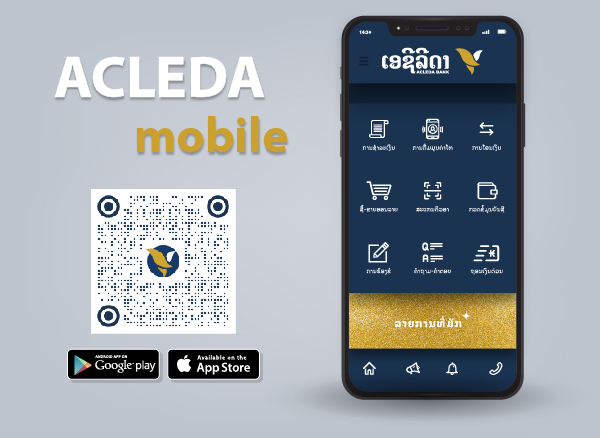 As you would expect of a bank with the most extensive branch network in Laos, backed by international technology, ACLEDA Bank Lao has the solution! ACLEDA Bank Lao's Local Funds Transfers services can move your money with safety and speed throughout Laos at very low cost. You can transfer money in Lao Kip, US Dollar, and Thai Baht within ACLEDA Bank Lao's branches and with other banks. Transfers can be made by cash or through an account at ACLEDA Bank Lao. Supported by our world class GLOBUS on-line Information Technology, you can be sure of a reliable and efficient 'Just-in-Time' service from ACLEDA.